JSI Tip 3550. MSPAINT has extreme graphics compression. In tip 2306, I explained that additional graphic filters allows MSPAINT to handle JPEG, GIF, and other files. A frequent site visitor, Gagan Pal, sent me some graphic filters and asked me to confirm the extreme compression in MSPAINT. 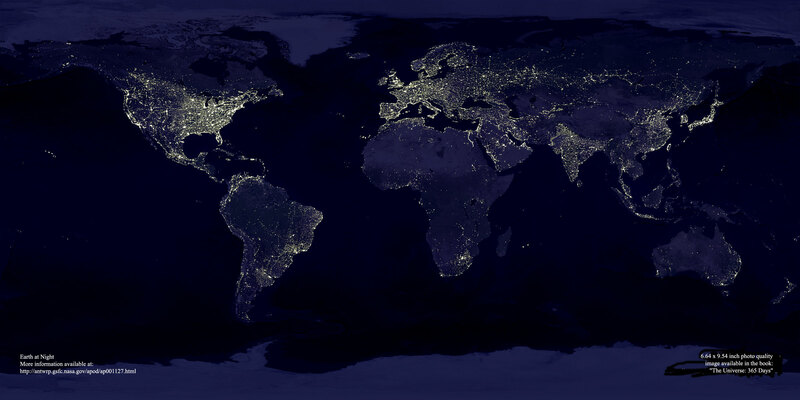 I opened the 387KB earthlights_dmsp_big.jpg in MSPAINT and saved it. I was amazed to see that MSPAINT saved the image, without any lose of quality, as a 273KB file. I tried various other graphic packages, but the best they could do was 342KB. Download Graphic_Filters.zip. Unzip it and move the .FLT files to "C:\Program Files\Common Files\Microsoft Shared\Grphflt". Double-click the Graphic_Filters.reg file.